e-know.net provide fully managed IT services for SMEs and corporates. 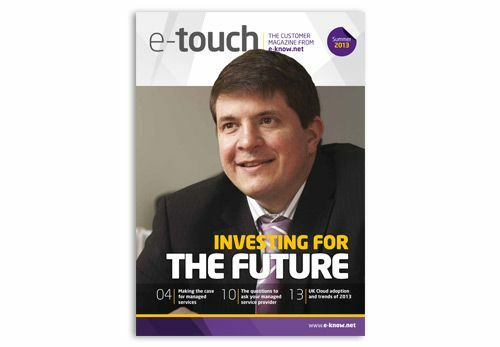 We redesigned their customer magazine, e-touch, to make it more engaging and stylish. The magazine takes the form of an online brochure that we produced using our own software.